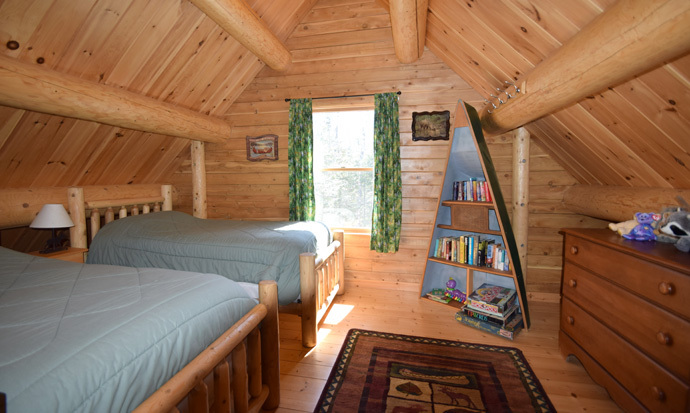 The weekly rate is $1400* for occupancy up to 6 people. Nightly rate is $200* for occupancy up to 6 people when available. *Above rates do not include 8% lodging tax. A 50% deposit is required to hold your reservation. Your deposit will be refunded if a cancellation is made more than 30 days prior to your reservation, or later if we can rent to another party. Check-in time is 2:00 p.m. Please notify us if you plan to arrive after 6:00 p.m. Check-out time on day of departure is 10:00 a.m.
Canoes and kayaks are available for use on the pond at no additional charge. 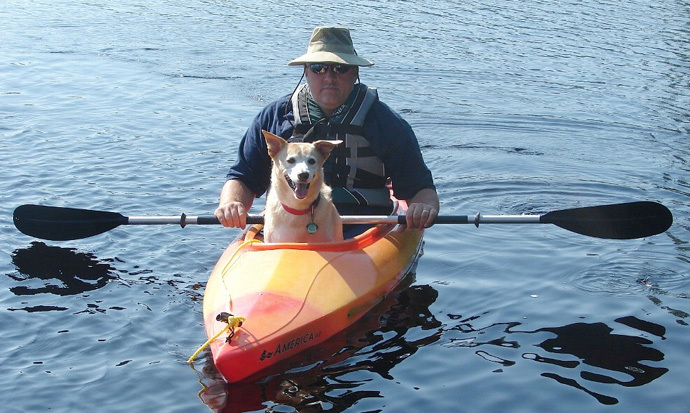 We are responsible pet owners and understand the desires of people who want to travel with their house pets. We can accommodate pets in the cottages by prior arrangement at no additional charge so long as you do not leave your pet unattended, clean up after your pet and keep your pet leashed at all times while outside your cottage. 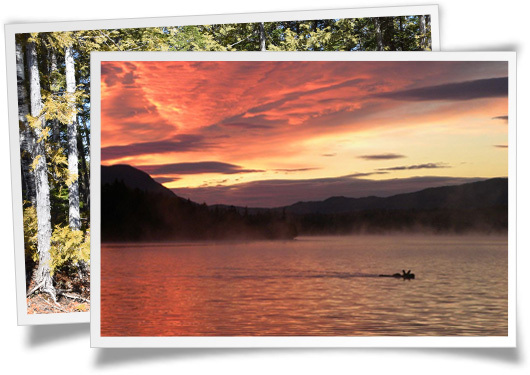 "We loved the privacy of the setting, the scenic path to the lake, and the use of our very own kayak and canoe." Quiet the noise and book your peaceful, fun-filled, nature-supplied family-friendly vacation or romantic getaway today. 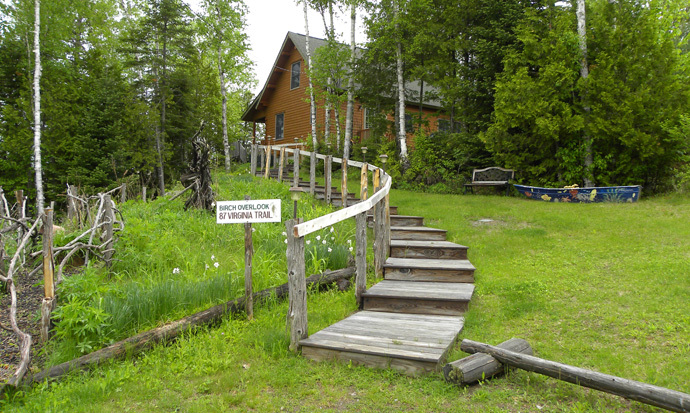 The Moosetracks Family Cottages on Prong Pond and soothing relaxation are waiting for you in Greenville, Maine.